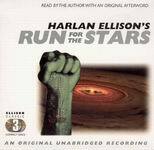 It was recently announced that Harlan Ellison will be named an SFWA Grand Master at the Nebula Awards Weekend in May. Regular readers of this website should know that I’m thrilled with the decision, as Ellison is easily one of my favorite writers. He also happens to be one of my favorite narrators. His audiobooks are insistent, as if he is vocally grabbing your shoulders to make sure you have his full attention. Ellison to me is Ellison – he’s his own genre. He takes his main character and dangles him so far in the wind that the reader can’t possibly imagine him coming back. Yet he does come back, but is invariably damaged along the way. It’s painful to hear, how we treat each other. Very difficult to look at. But Ellison shows it to us, even here in his early work. “Run for the Stars” is the story of a man named Benno Tallant, a drug addict who finds himself in a position to fight back against the Kyben, an occupying alien race. Unlike most alien invasion stories, this is happening to a colony that is not so friendly to Earth, which is the aliens’ next stop. Tallant fights not only the aliens, but his fellow humans. And himself – the reader is never certain that he wants to save the Earth, or himself for that matter. The audiobook also includes some commentary from Ellison about the origins of the story, and how it got published. Commentary like this in an audiobook really enhances its value in my eyes. I enjoyed it as much as I did the story itself. “Run for the Stars” is a fabulous listen – the first title we’ve reviewed from ReQuest Audio. 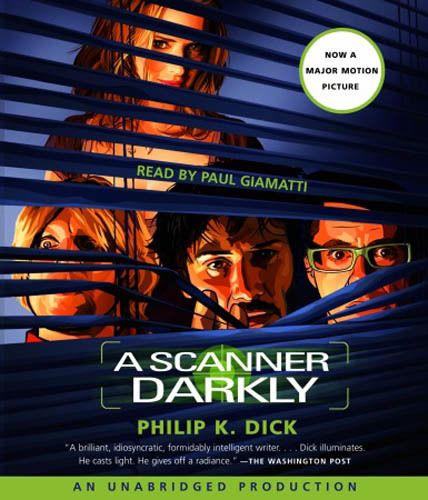 In the hopper are two other ReQuest titles – “Eye for Eye” by Orson Scott Card and “Tales from Nightscape” by David Morrell. You can find their website here. I hope to hear much more from them in the future. 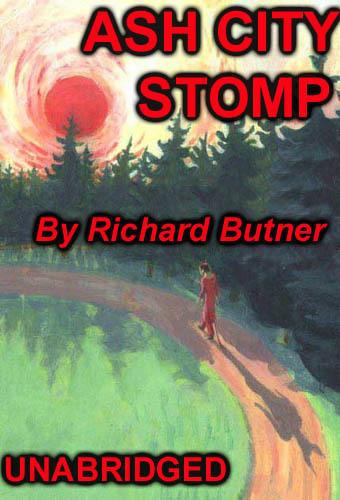 The Small Beer Press website has posted an author- read downloadable MP3 of Richard Butner’s short story Ash City Stomp, taken from the anthology entitled Trampoline. You’ve likely read stories like this before. I’m not sure if it has a name (maybe slacker-zen would be a good one), but it is some kind of amalgam of the gen-x aesthetic with the fantastic element. Something like Neil Gaiman’s American Gods as written by Douglas Coupland. It’s not designed to leave you fully satisfied. Instead, its purpose is to show you the post-modern human dilemma for the educated class and their relationship to traditional fantasy elements. Butner’s stripped-down dialogue is rhythmically punctuated with curly-cues of ornate hyper-description. As a reader Butner doesn’t have much luck playing the female voice, but his crazy devil voice is loads of fun. The recording itself is clean, and includes an introductory hard rocking electric guitar riff. The free downloadable MP3 be found HERE.